NOW TV is helping to fuel Sky’s growth in the UK, as both customer numbers and revenues increase. 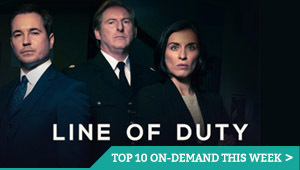 The broadcaster’s figures for the year to June 2015 show a 5 per cent increase in group revenue to £11,283 million, with on-demand services an increasingly large part of the Sky appeal. On demand usage grew steeply, Sky revealed this week. Total on demand downloads surpassed 1.5 billion in 2015, up 60 per cent on the previous prior year. 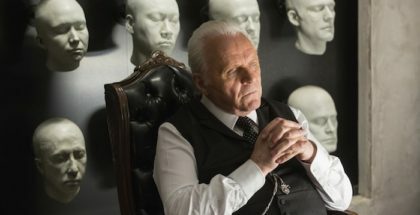 Sky has also placed a heavy emphasis on “Sky Box Sets” – collections of entire TV shows available to stream on catch-up via NOW TV and Sky set top boxes – something that it says has been “particularly successful”. Sky Box Sets have generated more than 600 million views since their launch two years ago, with viewing figures in 2015 now on a par with its fourth most popular channel. 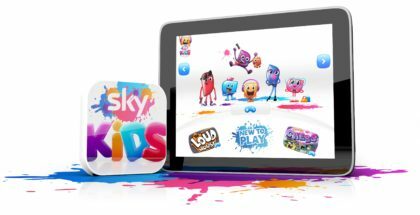 In 2015, Sky has also seen increased revenues to Sky Store, its movie purchase and rental service – by 77 per cent, to be exact. 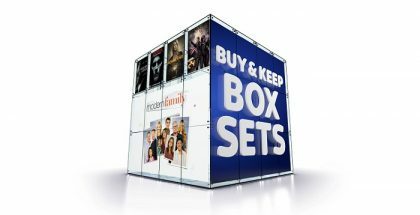 All six major studios are now on board with its pay-per-view store, while the introduction of “Buy & Keep” – sending customers copies of films on DVD after they order them on VOD – has also helped boost sales. Universal’s Fifty Shades of Grey, for example, sold more on Sky Store than “any digital retailer has ever sold on one of their titles in the UK”. But NOW TV has been the big digital breakthrough for Sky, offering contract-free access to its premium content at a much lower cost than traditional Sky contracts – not just TV and film, but also sports. NOW TV “grew strongly”, says Sky, selling almost three times as many sports passes as last year thanks to increased awareness and the introduction of the new NOW TV week pass (giving one week’s access to Sky Sports). Sky is continuing to build its sports VOD offering, with a monthly pass now available ahead of the start of the Premier League. A new NOW TV box will also be launched in August. Thanks to the growth of NOW TV among those who would not normally sign up to Sky, the company has added 973,000 customers in the past year, 45 per cent more than th eprevious year and the highest organic customer growth for 11 years. Sky has more than 12 million customers in the UK, with over 38 million “paid-for subscription products”, although it does not disclose whether these are NOW TV or traditional Sky packages. Nonetheless, revenue per customer rose by just £1 in the past 12 months, despite prices being raised, which suggests that a growing number of customers are preferring the cheaper OTT option. Now, the plan is to expand the NOW TV and on-demand approach. Indeed, building on the success of NOW TV, Sky has already launched a streaming service called “Sky Online” in Germany and Italy. “We also opened up new headroom for growth in Italy with a new IPTV service in April in partnership with Telecom Italia. This gives us access to the many Italian households who are unable to install a satellite dish,” added Sky. On home turf, meanwhile, competition is growing, as BT builds its own pay-TV service. NOW TV is perhaps Sky’s most useful weapon, though, as BT does not offer a similar OTT service for its TV channels – although it does provide a contract-free subscription option for BT Sport that costs £5 a month for non-BT TV customers who have BT Broadband.